The Ultralight Long Extension Clamp to Extend Spotting Light is a longer version of the AC-CSF Clamp style clamp, for use with the focus lights. Great for that little extra extension over ports. Since 1993, Ultralight has been manufacturing one of the lightest weight and most reliable arm systems on the market. 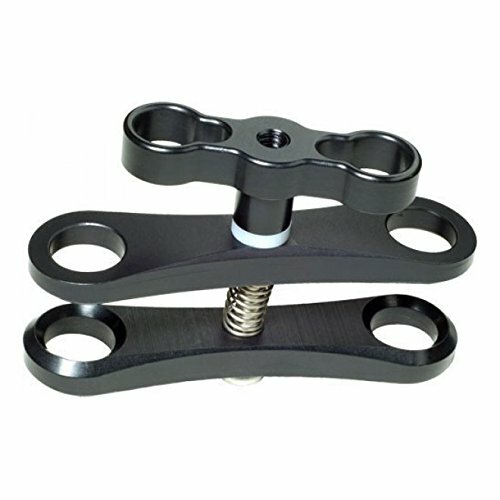 All Ultralight clamps, mounting balls, and arms are engineered to incorporate the maximum clamping action possible. The inclusion of an o-ring in each ball joint greatly increases the friction forces at the joint, keeping the arms where you put them, while minimizing the metal to metal contact between the clamp and ball. Specification: ...Contact us if you need more help. If you have any questions about this product by Ultralight, contact us by completing and submitting the form below. If you are looking for a specif part number, please include it with your message.